Friends of Buburi believe that health is a Human Right not a luxury. We feel strongly that “No one should get sick and die just because they are poor or because they cannot access the health services they need. No one should have to choose between death and financial hardship. No one should have to choose between buying medicine and buying food.” Friends of Buburi are supporting Buburi Community Based Organisation (CBO) to ensure the long-term future of Buburi Community Health Care services for the people living in this poor and rural area. 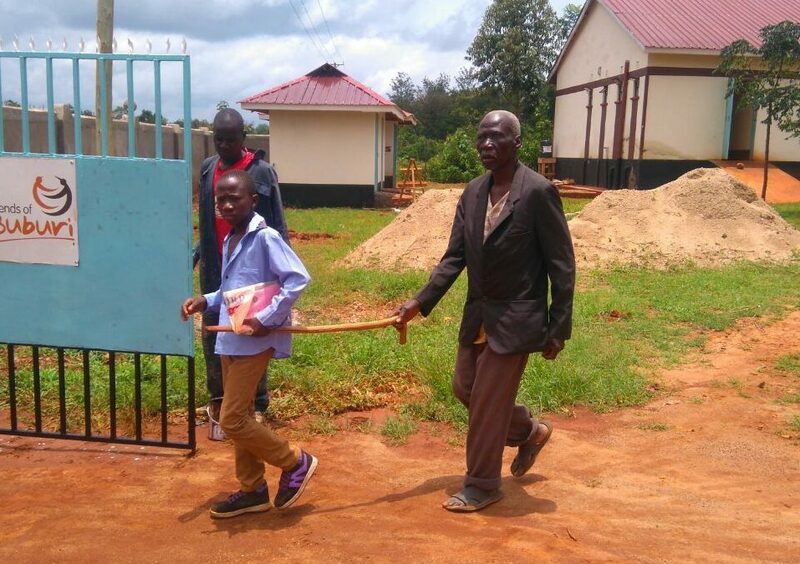 It would be unimaginably awful if people like this elderly gentleman (in the photo) who is blind, relying on his grandson to guide him, was unable to access the health care he requires. Luckily Buburi Clinic is available and it is with grateful thanks for the generosity of our wonderful supporters that thousands of people just like him can access this incredible facility. Health for all has been the World Health Organisation (WHO) guiding vision for over seventy years. Healthcare costs push 100 million people into poverty. WHO are working hard to achieve Universal Health Coverage (UHC) meaning everyone everywhere can access essential quality health services without financial hardship. When world leaders have the political will to implement UHC people’s health and well-being are enhanced and life expectancy extended. It also protects countries from epidemics, reduces poverty and the risk of hunger, it creates jobs, drives economic growth and enhances gender equality. Together we can make UHC happen by inspiring, motivating and guiding those who lead to ensure their countries implement it so that around the world everyone everywhere can access health services without financial hardship.